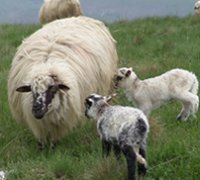 We are developing a number of services to support the health management of sheep. Our consultants are available to discuss healthy flock management with both the commercial farmer and the domestic small holder. Bulk purchase commitments. We quote an annual price and hold the product in stock until you need it. Monthly payment plans to spread the cost of flock healthcare. Please either email or call our consultants on 01267 241136 if you have a requirement regarding any of these services, or wish to obtain a quote for wormers or vaccines.